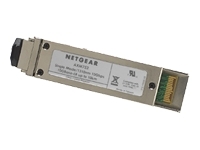 NETGEAR offers wireless, Ethernet, powerline and phoneline networking products through a complete line of routers, gateways, switches, hubs, and adapters. NETGEAR products offer the strongest security and privacy options available to protect home and business customers. Supports both 50um and 62.5um multimode fiber cables.